I make my annual Top 10 list based on my favorite movies—which are not always the films that I think are the “best” (read: award-worthy). I consider which movies I know I’ll return to in the future (or that I’ve already watched more than once), as well as which films had the greatest impact on me emotionally—the ones that I’m still thinking about despite weeks or months passing since I first saw them. So with that in mind, here’s my list! 10. Denial – This is a true story that continues to haunt me, especially as fake news and the alt-right movement have wielded a terrifying amount of influence this past year. Rachel Weisz plays Deborah Lipstadt, a professor and historian who calls out British Holocaust-denier David Irving (Timothy Spall) and then is accused of libel and sued by him in the UK courts. Because of how the British legal system works, the burden is on Lipstadt to prove that she did not libel Irving because the Holocaust did indeed happen. I sat through this film stunned by Irving and his followers’ ignorance and hate, and distraught by how easily some people will believe lies just because they coincide with their worldview. 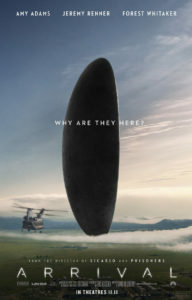 I saw this film in September and left the theater with a sense of foreboding. It hasn’t gone away. 9. Nocturnal Animals – I still can’t believe how much I liked this film. It’s sooooo dark, and that’s usually not my thing. 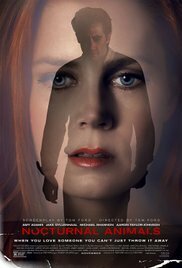 Amy Adams plays Susan, a wealthy art-gallery owner whose ex-husband Edward (Jake Gyllenhaal) sends her the manuscript for his upcoming novel. Let’s just say that he’s working out some anger issues and resentment through his story, which we see played out on the screen as Susan reads page after page with increasing alarm and dread. Michael Shannon is hilarious and unforgettable as a detective in Edward’s story—a light spot in an otherwise disturbing tale. Perhaps I can’t shake this one because as a writer myself, I believe in the power of words. Or perhaps it’s because director Tom Ford makes everything look gorgeous. Or perhaps I just like seeing awful people taken down a notch. The final scene is subtle and quiet, but it sums up everything I loved about this film. 8. Zootopia – In addition to its theme song—Shakira’s “Try Everything”—I adored the positive message of this Disney movie about a bunny who’s determined to break down stereotypes and become the first rabbit police officer. It’s chock-full of pop-culture references (The Godfather! Breaking Bad!) and clever at every turn. Bravo! 7. Hunt for the Wilderpeople – A rebellious boy and his grumpy, reluctant foster father are forced to work together to evade The Powers That Be in the gorgeous New Zealand bush. Though it gets a little outlandish near the end, this indie has more to say about the human connections we all need (whether we want to admit it or not) than any other film I’ve seen this year. 6. Tie: Deadpool / Popstar: Never Stop Never Stopping – Both of these movies made me laugh (hard) right from their hilarious opening-credit scenes and on through until their equally funny closings. Deadpool breathed new life into the superhero genre for me thanks to Ryan Reynolds just OWNING his character, and Popstar held a mirror to everything that’s ridiculous about our celebrity-obsessed culture, in true Lonely Island style. Perhaps the craziest thing is that both films also had sincerely touching moments as well. 5. La La Land – As Ryan Gosling and Emma Stone are two of my favorite actors, this one was pretty much guaranteed to make my list. They might not be the strongest singers, but everything else in the film more than makes up for that: the songs, the dancing, the popping colors, the fantasy sequence, Gosling and Stone’s chemistry … and most of all, the incredible ending. I’ve watched this one three times already just for that ending. 4. Moana – This one ranks so high on my list because I listen to its soundtrack literally every day. I’ve also watched it multiple times, and I continue to be blown away by how gorgeous its animation is—especially its lush island scenes and overhead shots of sailboats gliding across the South Pacific in the sparkling sun. The fact that it breaks from the typical Disney Princess storyline doesn’t hurt, either. 3. Hidden Figures – No film this year filled me simultaneously with as much joy and anger as this one did. Don’t get me wrong, this is an overwhelmingly happy movie that every US citizen should see. It’s the true but not widely known story of the African-American women behind much of the success of our country’s Space Race in the 1960s. Director Theodore Melfi straightforwardly depicts the racism and prejudice these female physicists, engineers and pre-computer mathematicians faced on a daily basis as they figured out how to send astronauts like John Glenn safely into orbit. 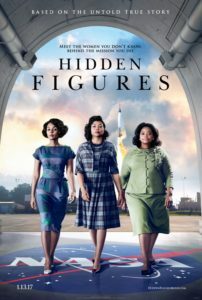 Taraji P. Henson, Janelle Monáe and Octavia Spencer as Katherine Johnson, Mary Jackson and Dorothy Vaughan are treasures—and while some of Kevin Costner’s dialogue as NASA group director Al Harrison is forced, it doesn’t take away from this inspiring tale of American heroism. My anger stemmed from seeing what these women went through, and knowing that 50 years later we still have a long way to go to achieve race and gender equality. Hidden Figures is the most socially relevant movie currently in theaters. And I promise you—no matter how you may feel about the state of our country these days—you will have immense hope for the future by the end of this film. What better way to start 2017? See it. 2. Sing Street – In a year that stressed me out like no other, Sing Street brought me a brief respite from the real world. I loved John Carney’s previous two films—Once and Begin Again—and now he’s achieved a cinematic hat trick. Sing Street follows a lovelorn Irish teenager who attempts to win the girl of his dreams by forming a band and asking her to star in its videos. The cast of new faces is excellent, the soundtrack is uplifting and catchy (this is another one I listen to often), the coming-of-age story will speak to you no matter how old you are, and Carney’s take on the older brother/younger brother dynamic had me in tears by the film’s end. It’s also so, so funny. It’s likely this indie didn’t make it on to your radar in 2016—remedy that as soon as possible! 1. 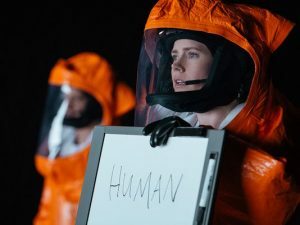 Arrival – Amy Adams makes her second appearance on my list, this time as a linguist responsible for figuring out how to communicate with aliens before they possibly wipe us off the planet. But that’s not really what this movie is about. It’s about grief, love, and the passage of time—and how shortsighted we humans often are about all three. To discuss anything else about its plot would be to venture into spoiler territory, but suffice it to say that it won my top spot because it affected me more than any other film this year—even more so on a second viewing when I already knew its secrets. I look forward to seeing what Hollywood brings us in 2017!